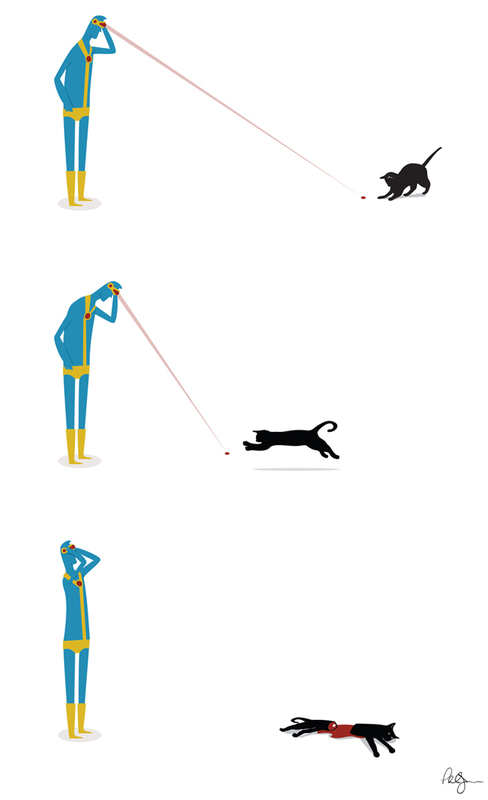 Cyclops’ Cat, a marvelously illustrated comic by Minneapolis-based designer Phil Jones, shows the mutant comic book superhero Cyclops (Scott Summers) using his optic beam as a laser toy for his cat. It turned out to not be such a great idea in the end. Prints, iPhone cases, pillows and more are available to purchase online from Society6.